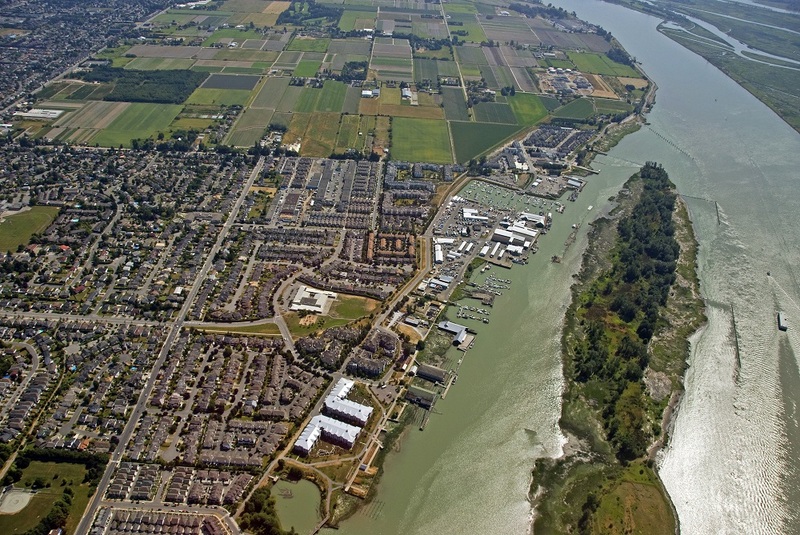 Developed along essential waterways, the Lower Mainland has long been in the business of transporting goods across the country and to world markets—and the business is growing and in need of space. At the same time, the region’s wealth of arable land has also made it an agricultural epicentre for Canada—a vital commodity—and the demand for food supply is growing too. As industry and population expand, the jostle for limited space on land surrounded on all sides by water and mountains is reaching a peak. For some, this is an opportunity to set a precedent for how communities work together to solve the issues of urban and rural congestion. Over forty years ago, the government of BC made a choice to protect what they knew to be a provincial treasure and birthed the Land Commission Act on April 18, 1973. 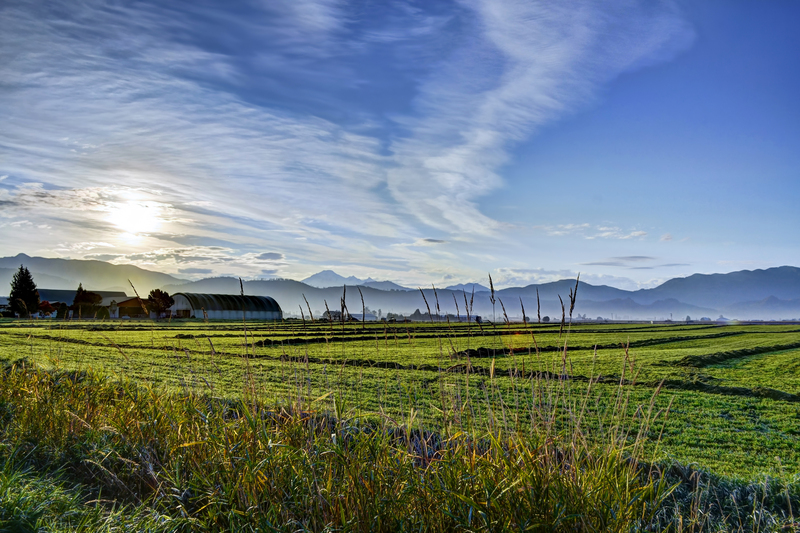 The commission was appointed to defend agricultural boundaries and the areas where food is grown by placing land in the Agricultural Land Reserve (ALR). The ALR’s mandate was to keep land used for agriculture in the hands of food producers. 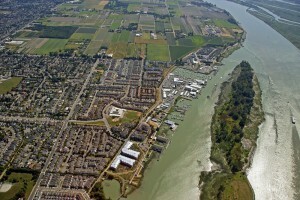 Most of that land is located in the Lower Mainland—more specifically within the Fraser River Delta. 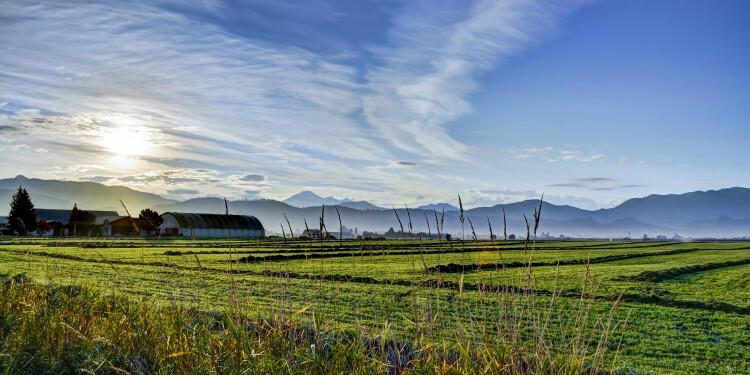 This relatively small expanse of land is also expected to house 60 per cent of BC’s population and meet the needs of a vast variety of industries besides agriculture. To put the size of the land in perspective, the Fraser River Delta would take up only one third of Toronto, Canada. Mayor Malcolm Brodie, the second longest-serving mayor in Richmond, BC, is taking a stand on the side of agriculture. In 2009, Brodie and the council noticed a potential land-use storm brewing and they are feeling the brunt of those buffeting winds now. A parcel of farmland in East Richmond was purchased by Port Metro Vancouver and kept, until the latest lease runs out in 2018, as insurance in case the port ran short of space. The land has been allowed to keep its agriculture brand, but there is a new iron in the fire, and it’s got Port Metro Vancouver emblazoned across it. Brodie said the fear isn’t just that one parcel of land be taken out of the ALR, but if one accepts the premise that industrial land is more expensive than ag land, then what would stop companies buying up all the ag land and converting it to industrial. “There needs to be clear boundaries to protect agricultural land. 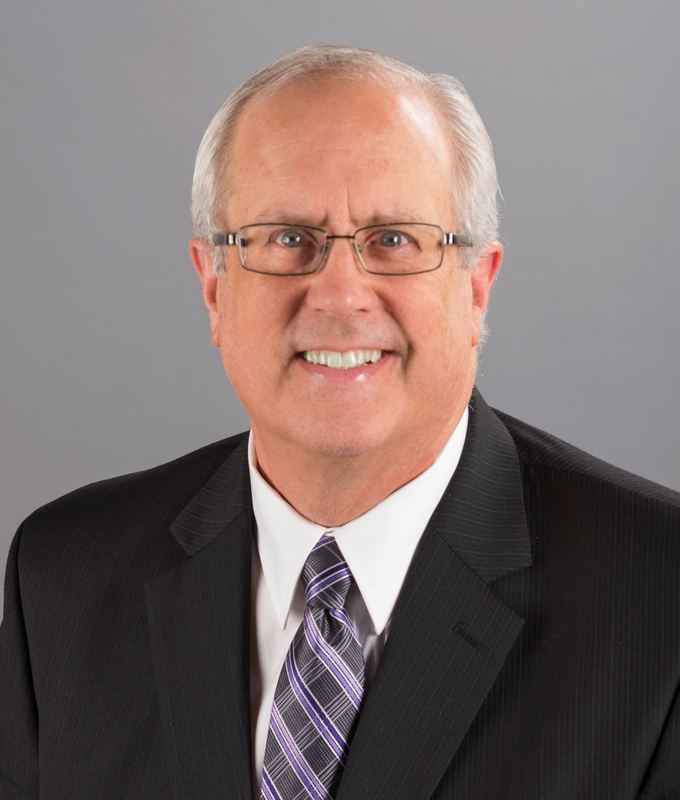 The extent to which industry can encroach upon ag land needs to be a major policy area.” The mayor expressed the importance that any discussion about land use in Richmond should be made public and is concerned that decisions could fundamentally alter, if not destroy, whole sections of the city. Reason was also in the voice of Robin Silvester, CEO of Port Metro Vancouver, as he described the dire shortage of industrial land and agreed more discussion is needed to find balance. Port Metro Vancouver is the third largest port in North America and is a vital trade conduit, shipping containers of food and goods to and from the rest of the world. “The fact is container traffic is expected to triple by 2030, and we are running out of industrial land,” Silvester said. Silvester described what he believes to be a perfect win-win scenario during the construction of Dayhu’s warehouses in Boundary Bay. The almost 900,000 square feet container facilities allow sorting and shipping of container goods which would have been previously sent to Alberta for redistribution. The property is adjacent to farmland. Representatives from Dayhu and the port spoke with the cranberry farmer next door and discovered that they could pipe the collected rainwater from the roofs of the warehouses across to the cranberry farms which increased the farmer’s yield substantially. 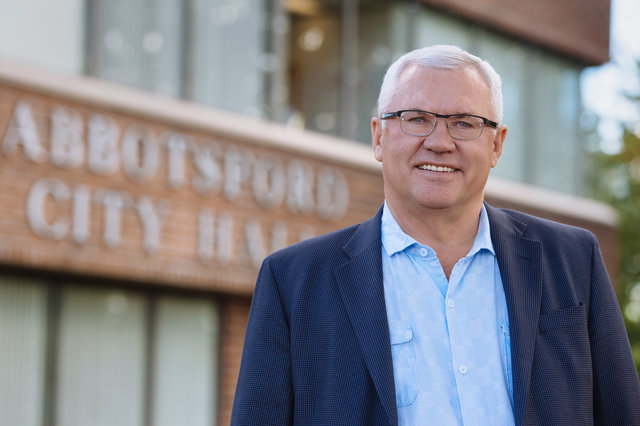 Just like the city he leads, Mayor Henry Braun of Abbotsford is a blend of city and country, and expressed a desire to facilitate growth of industry while protecting as much farmland as possible. This was perfectly epitomized when he explained that prior to arriving at his office at City Hall that morning, he had helped deliver two Hereford calves on his ranch, and was eager to rush back to see how they were doing. The Mayor may have grown up on farms, but took quite a different career path. 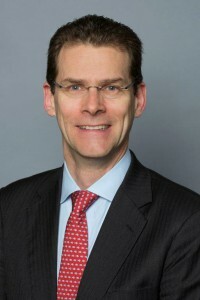 Before his stint in politics, Braun was the owner and CEO of Canada’s largest privately-held railway and transit construction company. The Abbotsford-based Pacific Northern Rail Corp was key in the building of much of the sky train and railways throughout Metro Vancouver, which also service the ports. Braun sold his company and retired in 2002. It is obvious that all parties feel strongly that there needs to be a regional planning conversation. 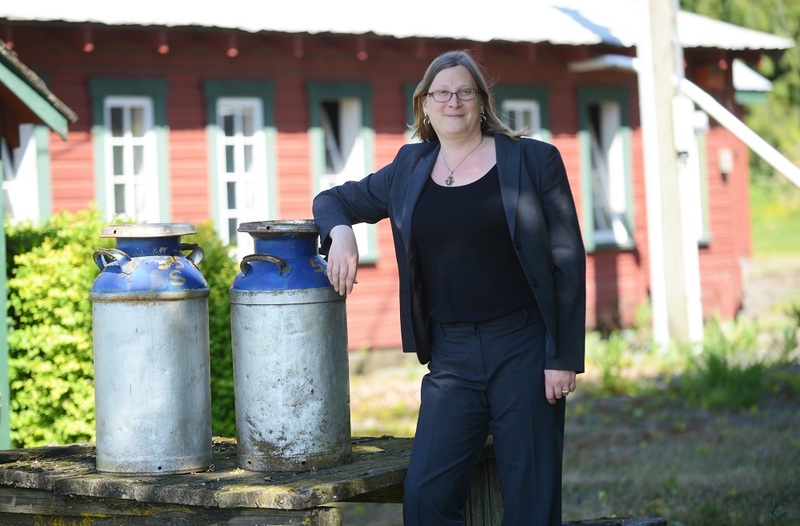 It may come to the point when fertile land like the Fraser Valley is placed under immense strain to feed the planet, but how we use our land will impact all industries. SUBSCRIBE to Modern Agriculture to receive 4 FREE issues a year!